B-Stock Notice: this item is fully functional but may have dents, dings or other cosmetic issues. The product is covered under the same warranty as new products with the exception of cosmetic issues. The Marauder is our hand-wired tribute to one of the rarest amps in history, the 1957 "5E81" Dual Tube Rectifier Tweed Twin, with an added twist - a built-in attenuator. The low powered 5E8A circuit produces 40W of tweedy glory into a pair of our boutique 12" AV30 drivers, enclosed in our gorgeous Spanish Cedar cabinet with a deep red stained Zorrowood top-panel. The Marauder resonates with a warm, woody tone. The Marauder's attenuator allows you to experience the sophisticated breakup of the original at volumes that won't blow out your eardrums. 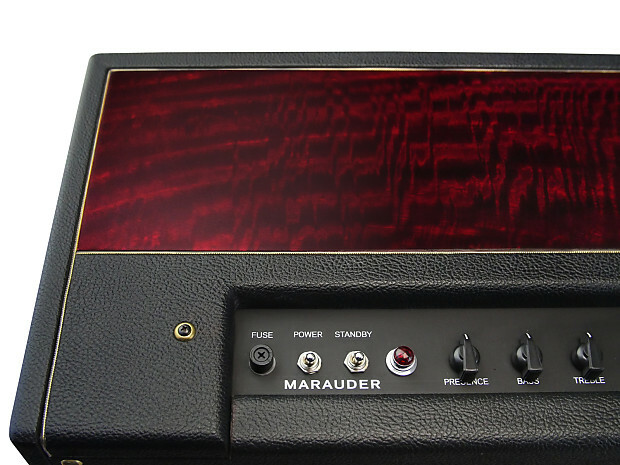 From its harmonically rich clean tones to its fat tweedy distortion, the Marauder delivers. 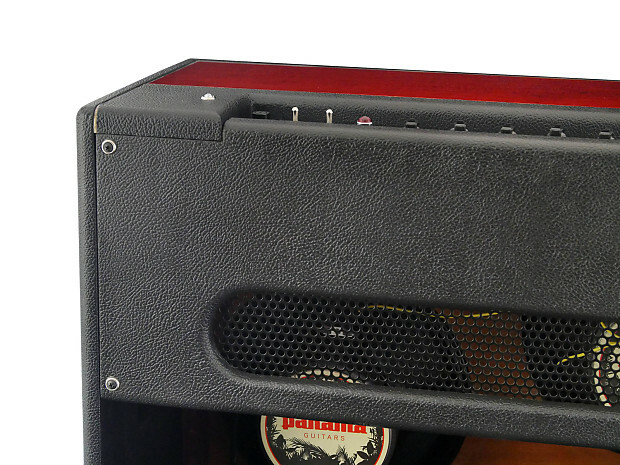 The Marauder is powered by 6L6 output tubes and includes the rarely seen '50s dual rectifier arrangement with (2) 5U4 rectifier tubes. The preamp uses (4) high-gain 12AX7 tubes, (3) of which may be substituted with 12AY7s for the original '50s low-gain sound. 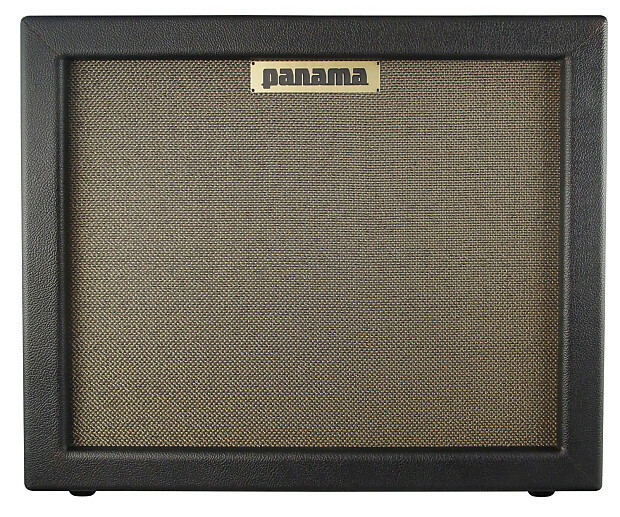 The control panel has Normal and Bright volumes, (4) Inputs (2 Normal, 2 Bright), Treble, Bass, and Presence knobs with the attenuator and extension / speaker-out mounted on the back of the combo. If the item is in stock, we will ship within 5-10 days of receiving payment. Usually via UPS Ground within the Continental US. Attention: All our products are made by hand by our manufacturing team in our Panama jungle facility. For pre-orders, shipping may take up to 30 days since they have to be shipped to our U.S warehouse in containers. Please feel free to contact us with any shipping related questions.